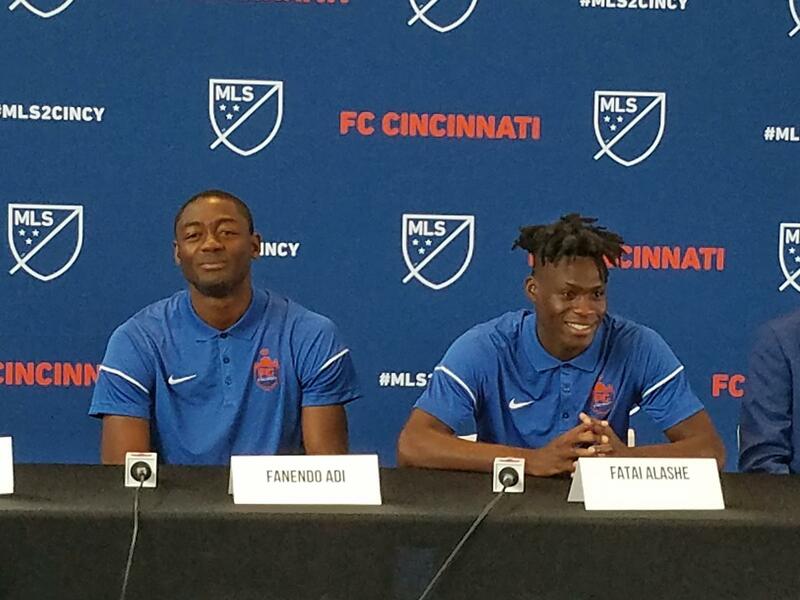 The team Monday announced Fanendo Adi and Fatai Alashe are joining the roster. Both joined the team for training this week. Cincinnati signed the deal with Portland Monday for Adi. Alashe comes to town on a loan from San Jose, but FC Cincinnati has secured his MLS rights. Technical Director Luke Sassano says he likes how competitive both players are. "They have a deep desire to win and improve on a daily basis," he says. 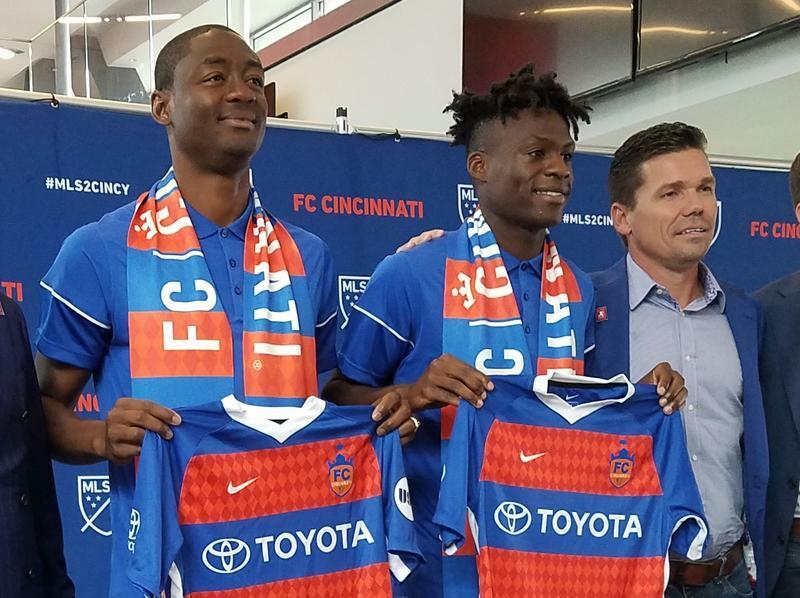 "We want players that want to be in Cincinnati, that want to play for FC Cincinnati, and I think that these two guys along with the rest of the guys in the locker room really exhibit that." 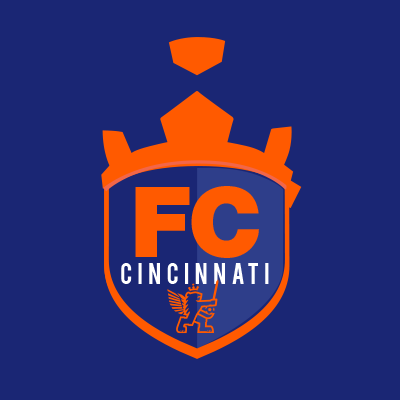 FC Cincinnati may not be finished. Sassano hints a third signing could come before the trade window closes Aug. 8. Adi (pronounced fah-NEN-doh AHH-dee) is a forward and was a Designated Player with the Portland Timbers, meaning his salary currently doesn't count against a team's salary cap. He's also Cincinnati's first Designated Player and will occupy a domestic roster spot since he has permanent US residency. Adi says he's already feeling like part of the team, and says Emmanuel Ledesma has already been pulling his leg in the locker room. "I want a challenge and coming here is going to be a challenge," Adi says. "I'm ready to work with the players, already we have amazing players in the locker room. I came in there today and I didn't feel like I'm just a new player... It's a family." Managing Owner and Chief Executive Officer Carl H. Lindner III says he's thrilled with the addition. "We believe he will find himself quickly ingrained in our city and beloved by our passionate fanbase. We're excited for him and his family to settle in and hit the field for us." Adi hails from Lagos, Nigeria, and joined the league from FC Copenhagen in June 2014. A member of the Nigerian U-23 squad, he hasn't seen action with the full national team, according to his MLS bio. 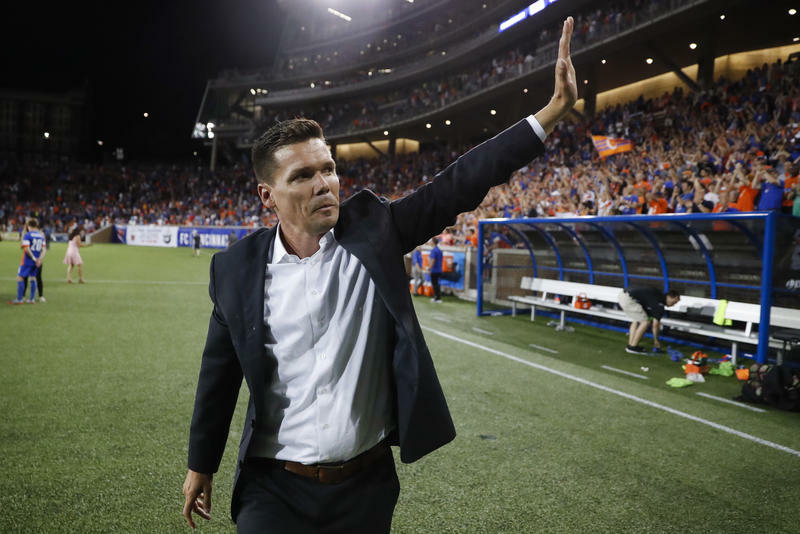 "We are incredibly excited to bring in a proven MLS goal-scorer to our club," says Head Coach Alan Koch. "The fact that Fanendo has committed to join us now, in this mid-season transfer window, shows how he believes in our team project and where our club is going. We're excited to get him involved in the squad immediately and embrace him in the culture of our club. We anticipate that he will have a major impact on the pitch for us for the next several years." Alashe, a midfielder, comes from the San Jose Earthquakes. The Michigan native played at Michigan State before being picked fourth in the MLS SuperDraft in 2015. He's also played with the USA Men's U-23 National Team. Alashe says he's excited about the opportunity to start something new. "I think there's something special going on in this city and you can see it from Day One." He says it's important to hear the team's owner talking about the new players as the foundation of the MLS roster. "It definitely gives us confidence as new players coming in, knowing that we're wanted here," he says. "This is a place that we can be comfortable in and feel like we're at home."